Israel doesn't get on too well with its Arab neighbors, and the threat of annihilation by ballistic missile is always present. To defend itself against this potential threat, Israel has built an Iron Dome-like defense system that covers the entire nation. But if this system can exo-atmospherically neutralize incoming ICBM's, what's to keep it from shooting passing satellites clean out of the sky? Known as the Arrow Weapon System, this ballistic missile interceptor acts as Israel's national missile defense system. It's one of the most advanced missile defense programs on Earth, and it's the first operational system specifically built to neutralize these threats. The Arrow system has undergone decades of development, starting with the the first generation interceptor, really just a technology demonstrator, before the Arrow II system came online in October 2000. The Arrow II—which boasts a 90 percent accuracy rating—consists of a hypersonic two-stage rocket armed with a fragmentation warhead, activated by ground-based early-warning radar and launched from an attached command center. The entire battery is transportable, preventing the launch sites from being targeted and compromised. The Arrow system was designed and built by a joint team from Boeing and Israel Aerospace Industries (IAI), which is currently working on the Arrow III system. Unlike its predecessor, the Arrow III is capable of destroying an incoming ballistic missile in space before it re-enters the atmosphere. The Arrow III will also reportedly utilize a gimbaled seeker unit that allows the interceptor to consistently line up with the incoming missile's flight path and strike the threat head-on, some 62 miles above the surface of the planet. What's more, the Arrow III is only about half the weight of the earlier model, which could allow it to be packed aboard naval vessels, as well. 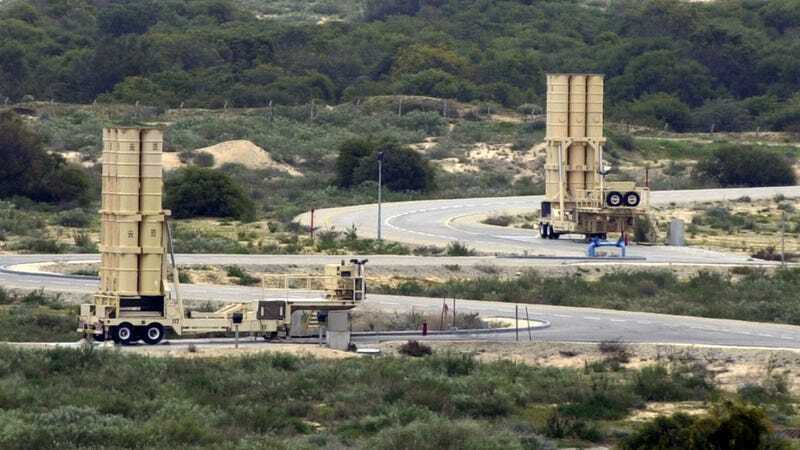 Israel first debuted these $2.5 million interceptors at the 2009 Paris Air Show—but the system has not yet officially come online. 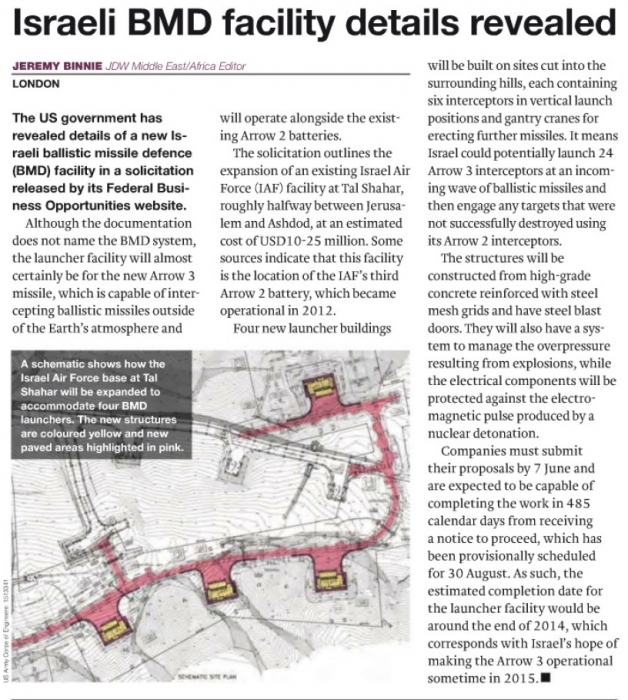 However, a report from Jane's Defense Weekly indicates that the Arrow III may be already installed at the Tal Shahar Israeli Air Force facility outside of Jerusalem and could be operational as soon as the end of the year, the end of 2016 at the latest. While the Arrow III is designed to intercept the sorts of ballistic missiles known to be held by neighboring Iran, Syria, and Lebanon, given system's 100 kilometer vertical range, it could also serve as an anti-satellite weapon. At the moment, Israel enjoys tremendous superiority in space vis-a-vis its Arab and Islamic neighbors. But it is worthwhile to address ASAT (anti-satellite) technological and political issues in case such operations will be needed in the future. Space warfare is a fact of life in the 21st century. Although many speak of a world free of space weapons, a responsible space faring nation like Israel should be prepared for future eventualities.